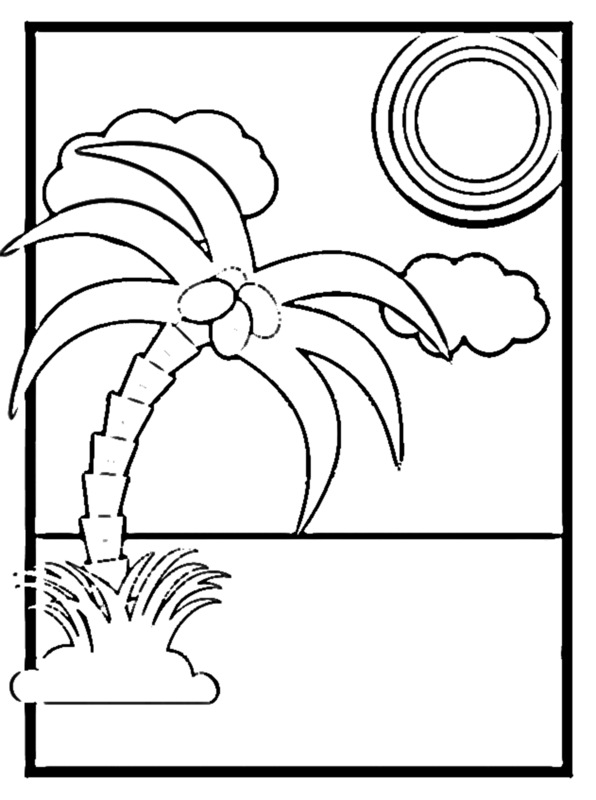 Download the coloring page for the tropical scene above by clicking on the image. Print one for you and your kids, and color together! Talk about where and how coconuts grow. Share a few Fun Facts while you’re coloring. Your kids will love to chant the wacky, rhythmic refrain of this well-loved ABC book, probably (warning!) at the top of their lungs: “Chicka Chicka . . . BOOM! 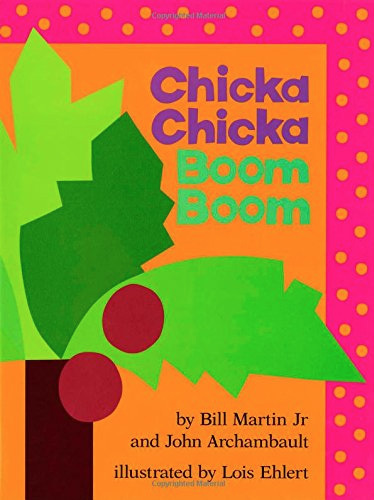 BOOM!” The story begins when A tells B and B tells C, “I’ll meet you at the top of the coconut tree.” Everything’s fine as each of the letters of the alphabet charge up the coconut tree–until X, Y and Z prove too heavy for its branches, and down they all tumble in a chaos of color. Ehlerts’s bright cut-paper illustrations help make the madcap parade of letters unforgettable. Skit skat skoodle doot–this book is fun in spades! Ages 2-6. Does your child have a favorite toy that is more like a friend than a plaything? 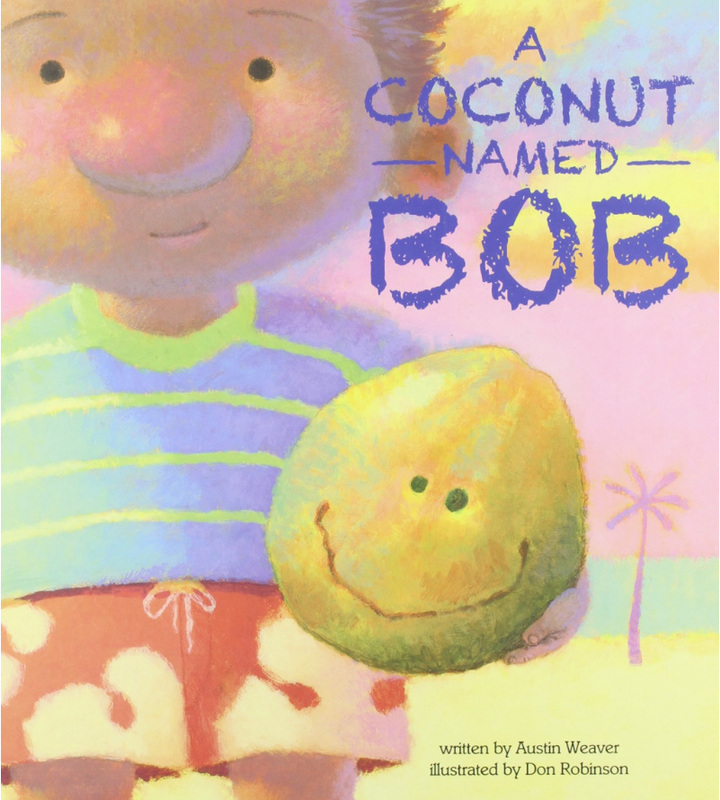 If so, he’ll surely relate to this tale of a boy and his best pal, a coconut named Bob. The two are inseparable until one stormy day when Bob is washed overboard from the boat in which they are sailing. 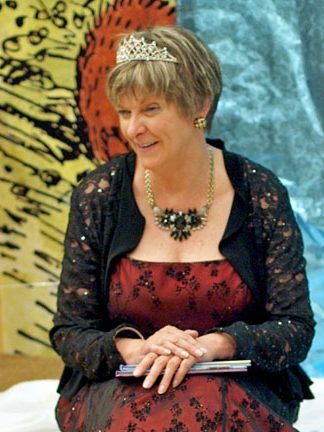 The book is a unique and heartwarming story with a timeless message about loyalty, love, the passage of time and the possibility that all living things are connected. The ending? Unexpected and very satisfying! An interesting note that older kids especially will love: Weaver wrote this book when he was just thirteen years old. Ages 2-6. Older elementary kids will enjoy this classic tale of the Middle Eastern adventurer otherwise known as “Sinbad the Sailor,” in which he learns to harvest coconuts by throwing rocks at the apes in the trees–who, in response, angrily throw the hard fruit back at him. 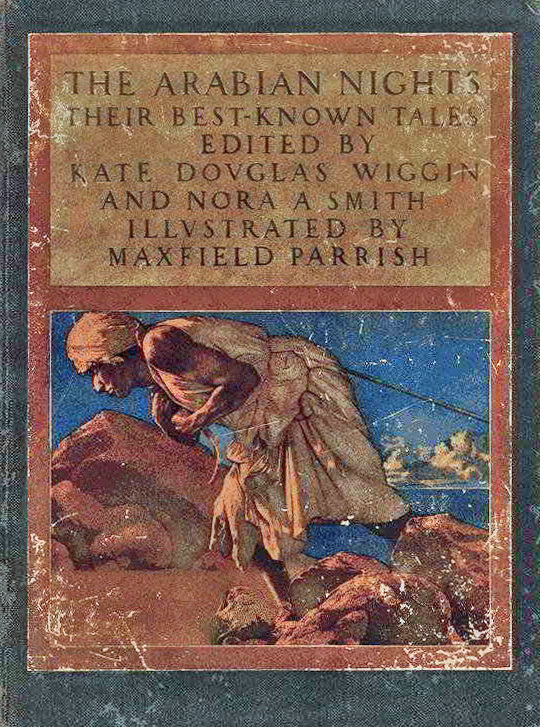 The first English language edition of The Arabian Nights, in which the Sinbad cycle first appears, was published in 1706. The work originally titled One Thousand and One Nights was collected over many centuries by various authors, translators, and scholars across West, Central, and South Asia and North Africa and appears in many versions. I found a 1993 reprint of this edition at my local library; look for it–the Maxfield Parrish illustrations are gorgeous. If you can’t find the story of Sinbad’s Fifth Voyage, you can read an ebook version here. Ages 8-adult. 3. DO SOMETHING WILD WITH COCONUTS! I found a number of fun, coconut-related activities to do with little ones at Mary Catherine’s fun-a-day.com–from instructions for coconut eruptions and coconut bowling to a recipe for coconut cloud dough. Fun for one, more fun with a group of kids to do together. Check the website for how-to’s and pictures. Maybe you’re too young to remember the 1971 hit Coconut by Harry Nilsson, but you might have caught the 2008 upload of the tune to Youtube, wonderfully rendered by Kermit the Frog in Episode 410 of the Muppet Show (1979). Crazy! Gather the kids around and view it here. They’ll be wanting limes in their coconuts–and considering the nutrients they’ll get from both, that’s not a bad thing! Eat well and have fun! Photos used with permission: Postcard coloring page, coredump via openclipart.org. 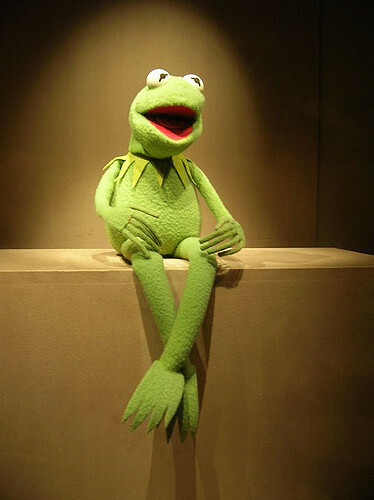 Kermit, Kevin Galens via Creative Commons. Book cover images from amazon.com.